Linwood Gardens was built as a country home between the years 1901 and 1910. 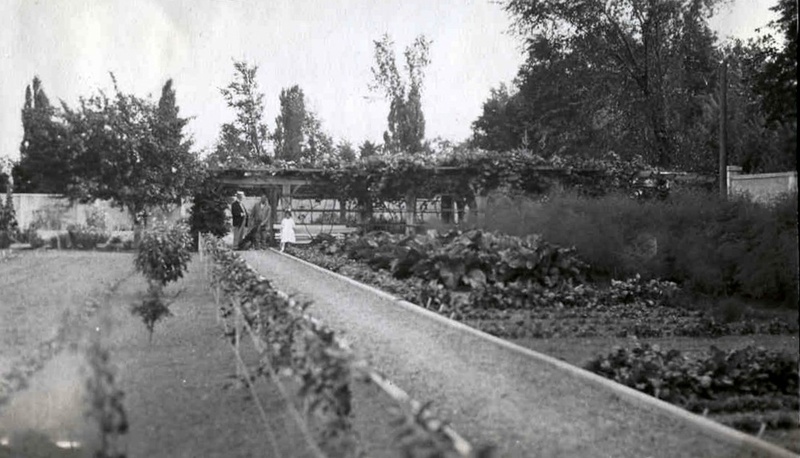 William Henry Gratwick II, from Buffalo, created Linwood Gardens as a country home in the years between 1901 and 1910. Architect Thomas Fox designed portions of the Summer House and all the original garden areas. In 1933, William H. Gratwick III moved to Linwood with his family and set up the Rare Plants Nursery. The Japanese Tree Peony became a feature of the nursery and the gardens. As an artist, landscape architect and horticulturalist, W.H.G. III contributed sculpture and new garden areas to the Linwood landscape. His wife, Harriet, directed a community music school on the property from 1947-1963. Linwood also hosted a wide variety of cultural activities during those years. Lee Gratwick, W.H.G. III's daughter, is now living at Linwood and is working to preserve the tree peony collection, the gardens and the summer house.